The last film of Rossellini's loosely-linked War Trilogy, Germany Year Zero speaks much of its hopelessness through its title. It exists both as narrative film and historical document. Capturing - in Neo-Realist documentary-style - the struggles of a young boy and his family in the wake of the fall of Hitler, Rossellini bravely chose to film on the streets of a defeated Berlin, capturing the extent of its destruction. Its' citizens still scattering from the physical and psychological fallout of the Second World War, Rossellini casted all non-professional actors, many impoverished Berliners in reality. Drawn in sharp contrast to 1945's Rome, Open City , in which Italian Resistance fighters are portrayed with great heroism, Rossellini (harshly perhaps) portrays the German people as spiritually empty and lacking in moral courage. At their best, (like Edmund and his sister), the innocents suffer or are corrupted; at their worst, they are venal; sick with sinfulness. Rossellini makes a pointed accusation that the disease of Nazism had its root in the citizens who supported it, in a society which had become cruelly indifferent and even sexually depraved, as in Edmund's pedophiliac schoolteacher. 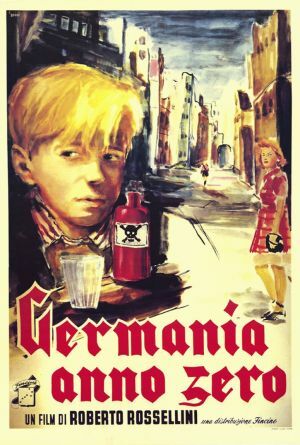 Whether Rossellini's view was unfairly slanted is up for debate, but the ruinous ending Edmund meets suggests, with no uncertainty, that the Social Darwinism of Nazism and terrible complacency of the German people led directly to the corruption and ultimate slaughter of the weak, disabled, old, and innocent. 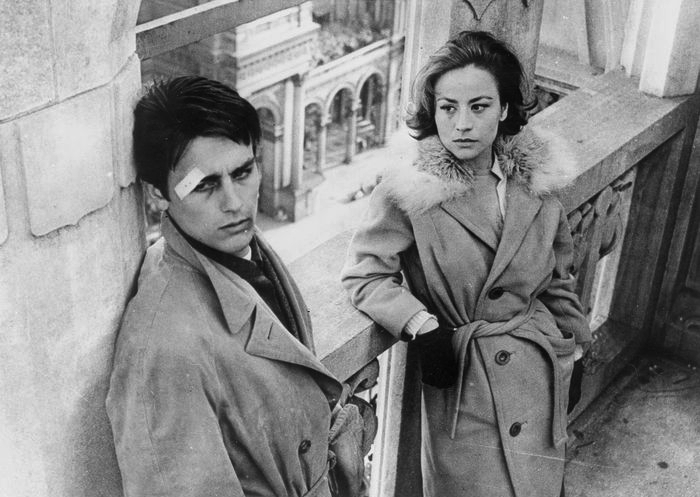 Rocco and His Brothers is a three-hour family epic of astounding power and humanity; it charts the unfurling tragedy of a Southern Italian peasant family displaced in Northern Milan. They steadfastly cling to traditional rural values, but are lost to the corrupting force of urban life. The titular character, played by a young Alain Delon, might initially appear to be miscast; he looks neither burly nor tough-featured enough to have been a farmhand. Yet he brings such fragility and compassion to his role as put-upon Rocco; a brother among five who look for new lives in a vast industrial city. Katina Paxinou is the shrewish and possessive matriarch; Renato Salvatore is Simone, Rocco's older brother. Simone becomes swept up in petty crime & vice when he joins an amateur boxing club and falls into a romance with a cynical young prostitute, Nadia, played with a great deal of emotional honesty and wit by Annie Girardot. When Nadia leaves Simone and later takes up a more serious love affair with Rocco, Simone sinks into further degradation and crime; he discovers Rocco and Nadia's secret and reacts with an act of such repulsive violence that a chain of terrible events is set into motion. One of many memorable scenes occurs as Rocco tries to part ways with Nadia; he suffers with the quiet humility of a saint. As the iconic Milanese spires of Il Duomo rise into the sky overhead, a bruised Rocco, bandaged over his eye, looks upon Nadia with a single solemn tear splashing down his cheek. It's cinematic lightning, one of many flashes of brilliance the film contains; and it portends the tragic outcome of Rocco's misguided loyalty to his depraved brother. Visconti seems to walk a tightrope between a critique of industrial, capitalistic society, and a great empathy and understanding of his characters' often-backwards motivations and attitudes. He had a sort of weakness for traditionalist Italy that doesn't make for a cohesive statement on socio-economics so much as a profoundly moving story of love, friendship, and family ties. 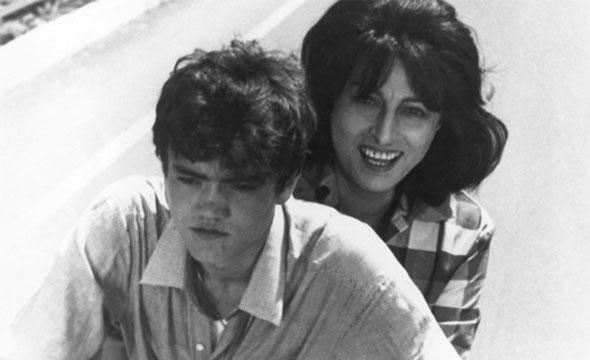 Pasolini's early (second) work, filmed in the Neo-Realist style, is interested in much of the same subject matter as Rocco; the late 50's/early 60's movement of the Southern poor to Italy's industrial urban centers. The corruptive force of these cities seems to be a central concern for both Pasolini and Visconti; Pasolini, especially, became more luridly interested in the link between political and personal/sexual depravity as his career continued. The so-called Mamma Roma is the nickname of middle-aged prostitute Anna Magnani; she escapes cliche in that she is loud, crude and vulgar, with a forceful personality and a great deal of resourcefulness. Magnani is an absolute force of nature, particularly here; wild black hair, cackling laugh, outrageous remarks; a powerful woman, fiercely protective of her teenaged son, Ettore. She moves them to Rome, giving up prostitution to protect Ettore from her past and give him a future beyond toiling on the land. Ettore, a sullen young man prone to laziness and without a trade of any sort, inevitably becomes tangled in local criminality; the mother & son's associates are pimps, thieves, and prostitutes, forming a low-life community that Mamma Roma had been trying to escape. When Ettore discovers his mother's past life, his rebelliousness grows; looming tragedy awaits. Unlike Rocco, there is little nobility to be had in this rogue's gallery; and Mamma Roma's unflinching devotion to her son cannot save him from the dark undertow of a city which welcomed them with open arms to her bosom only to drag them further into the depths of criminal life.